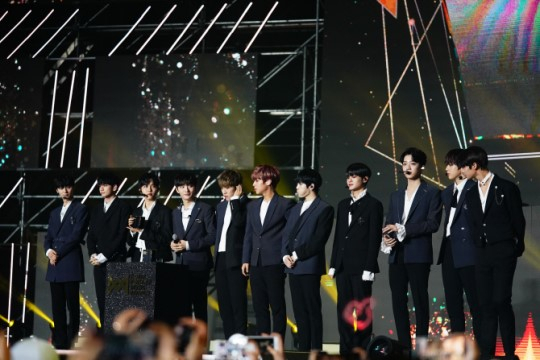 At the eve of their disbandment, WANNA ONE received four awards at the first hosting of Korea Popular Music Awards at Gyeonggi-do Ilsan on December 21st. Co-hosted by Korea Singers Association, Korea Entertainment Producer's Association, and the Recording Industry Association of Korea, these groups created a unified voice to be "true to their name" and establish "the most dignified and prestigious Music Award Brand." However, with only their first ceremony brought to a close, the KPMA was already facing its first controversy. 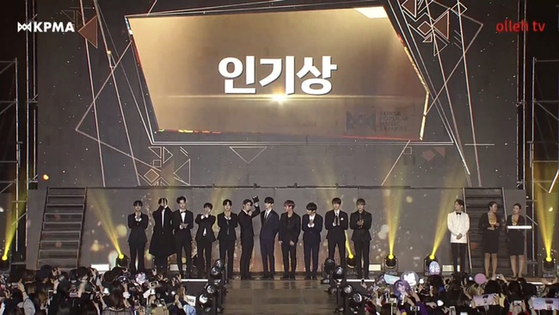 The issue this time, was over the Popularity Award, awarded to both WANNA ONE and EXO, apparently as a joint-first-place award. 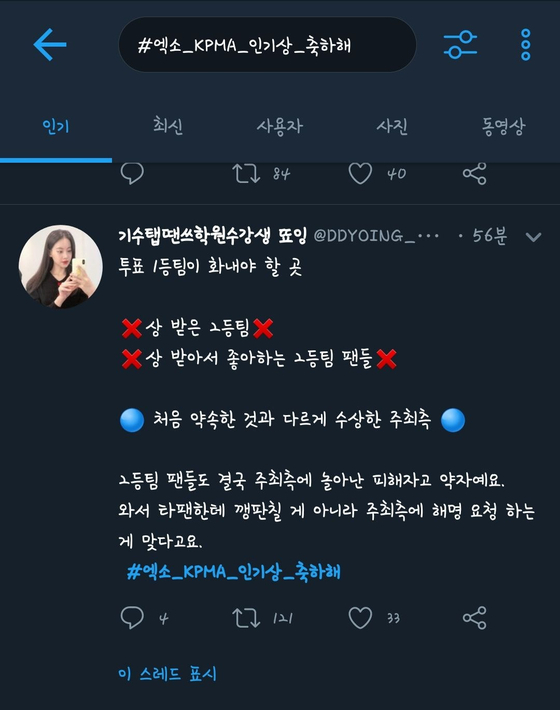 However, WANNA ONE fans expressed complaint. 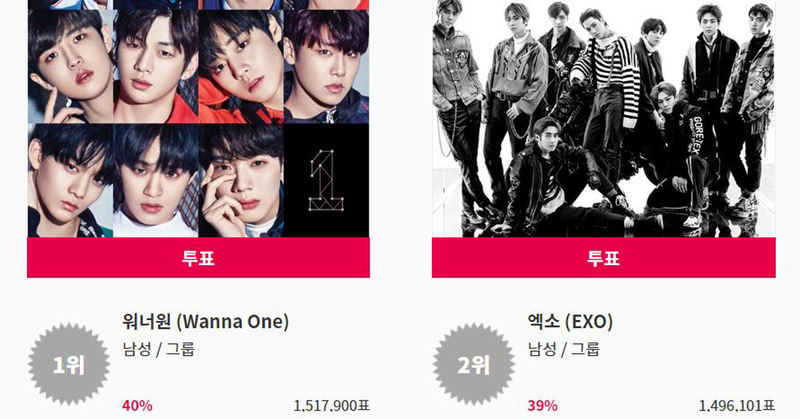 because even though EXO was at second place, the difference in votes between the first and second place was more than twenty-thousand. 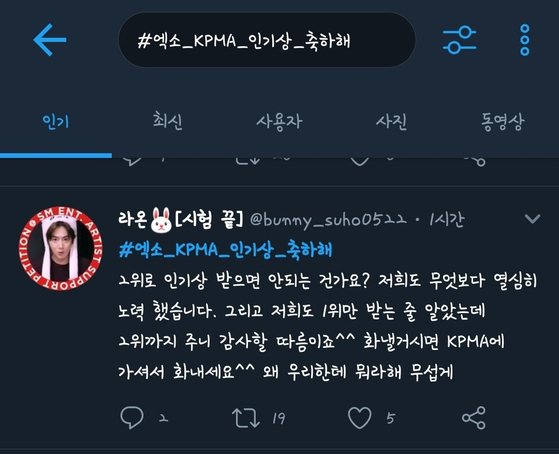 In addition, KPMA had explained prior to the ceremony that the awarding of the popularity award would be 100% based on popularity votes, votes which fans had had to pay for. Getting joint-first-place despite these circumstances, WANNA ONE fans were in a rage. 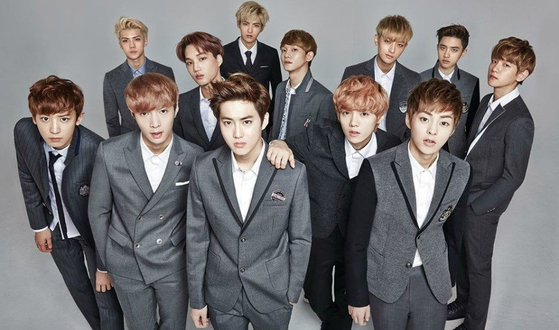 At the other end, however, EXO fans were congratulating EXO for the award, much to the anger and annoyance of WANNA ONE fans, thus beginning a major fan war on social media. To the complaints of WANNABLES, EXO-L has voiced that the fault is not with them but with the KPA. "Can't second place also get an award too? We also worked hard for this award. We also thought that only first place would get the award, but since second place also got it, we can only be thankful. If you're going to be angry go be angry at the KPMA. Don't be a bully and get angry at the wrong people." 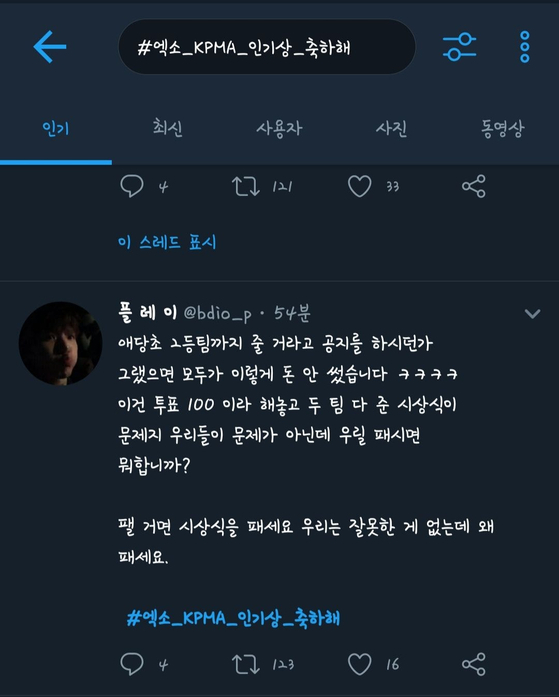 In this way, EXO-L has been uploading posts and comments claiming to also be victims themselves. Meanwhile, they have made sure not to forget to hashtag "#EXO_KPMA_PopularityAward_Congrats" and congratulate their stars. This has only caused WANNA ONE fans to be even more enraged. "If you know what you got isn't what you deserve, then shouldn't you be quiet about it instead of trying to get high ratings on real-time streaming? 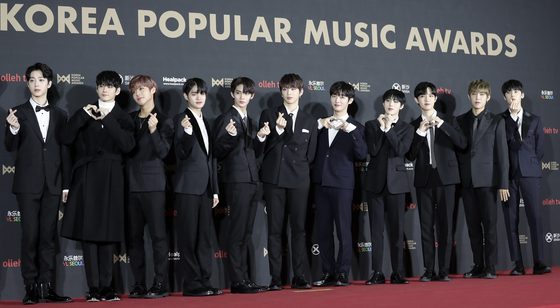 Though KPMA is the one at fault, that doesn't mean you can go around claiming an award that shouldn't be yours in the first place," a WANNA ONE commented to an EXO fan's remark, with all the other comments following along the same line. Continuing to grumble at each other, both WANNABLES and EXO-L are in for a serious fight. "I'm sure you guys would have done worse than us, if our positions were reversed." WANNABLES have claimed, though no one believes EXO-L will let them have the last say.